If asked, could you write a story about your mother’s life? Like, the unabridged version. I’m not talking Cliff Notes here! The newly discovered writer in me was thinking about this. And with Mother’s Day coming up, I was thinking about not only my own Mother but myself too, of course… what I, and everyone else in my family, could do for ME! Like, maybe John can watch the kids and I’ll take off and go shopping, get my nails done, or something else unnecessary that I don’t get to do now that I have two kids. (Though, did I ever get my nails done?) Last year I left Will with John and went on a shopping spree with my sis-in-law incurring some serious damage to the bank account with the excuse that it was my day to indulge. But as I was thinking about this Sunday, I thought, wait, its Mother’s Day. Why not just spend time with my children? And that’s when I realized… I am starting to think like a true and seasoned Mother. My Mother–and I’m sure most people’s that are reading this–has always put her children first. Despite her many talents and skills, she is a Mother before anything else, and a good one. Hear me out… I know there is a lot of focus on making sure we spend enough time on ourselves, don’t neglect our needs, keep up our own hobbies and interests, etc., and I am definitely down with that. A good parent is one that keeps a sense of self and doesn’t over-focus on the child to the point of smothering and self-destruction. But, I wanted to reflect unapologetically on the selfless part of the Mother, something that I think is just instinctual, natural and beautiful. When I think about my Mother, and who she is as a person, I’ve always seen her in the frame of myself. She has supported me financially and morally, seen me through heart wrenching break-ups, listened patiently to my rants or raves, wiped many tears, taken me on endless shopping sprees, read SIRENS from beginning to end (not once but twice). My Mom is awesome. But who was she before 1978? She’s just always been… my Mom. Before that though, I know she was an individual. She had her own needs, dreams, desires and fears. She had her own break-ups, her own Mother. If I’m honest with myself, I’ll admit, I don’t think I ever thought about her, and who she was, as a separate person from me and our family until my adult years. Maybe its the clarity you get as an adult (youth can be ignorantly, blissfully self-centered). Or maybe its a strange type of possessive thing, like, I don’t want to believe my Mom existed as someone who didn’t have me at the center of her universe, someone who existed when I was still just stardust. I got tidbits of her past life growing up–the Cliff Notes. 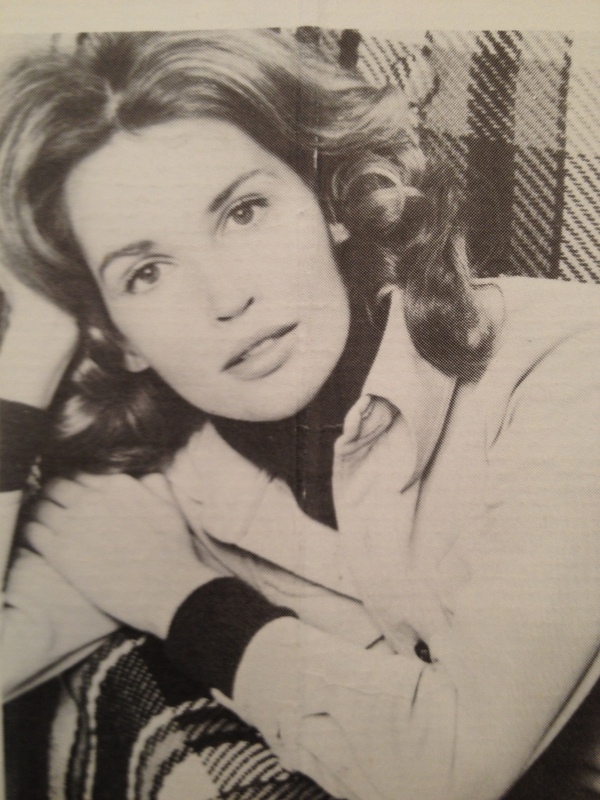 Pictures of her when she lived in NYC as a model–how glam! A letter regarding a baby, a girl, that wasn’t me–how mysterious! Who was she? One day I would learn I had a half-sister. But again, I saw it through the lens of myself… how cool is it that I have a sister! I have always wanted a sister! And it was an awesome story to have and tell. But I never knew how my mother felt when she found out she was pregnant for the first time, what it was like to know you would be giving up your first child. Who did my Mom talk to then? Who comforted her? What was her relationship really like with him? It was all in a black box that I definitely wondered about, but never really asked. That’s the thing… you have to ask. If you don’t ask, you may never know. My Mom doesn’t talk a lot about herself unprompted. But she’ll listen to me for hours. However, recently, my Mom and I drove up from Charlotte to DC so she could stay at her pied a terre that she and my Dad rented just for the purpose of helping me with the kids, and… I asked. I learned so much. They were things I knew that had happened to her on paper, so to speak, but to hear her tell me in such detail, it was like a story–the unabridged version–I had never heard. She was a character in a newly discovered book, dynamic and fully rounded out. She shared what it felt like, the names of the people and scenery of the places where these things happened. These life experiences that took place pre-Tanya. My Mother has a trilogy of Lifetime movies from her life that could be blockbusters (well, on LMN at least!). She has fascinating stories. I told her to write them down, but I know she won’t. I’m afraid now that I’ll forget, that the details will fade and I’ll only remember the gist. But my whole point is that the gist, the Cliff Notes, just isn’t enough. Maybe I’ll write them down, tell her story. If she doesn’t mind. I’m sure she’ll at least edit. She’s gotten a lot of experience in that with SIRENS. The interesting thing is, I think this phenomenon of our Mothers’ mystery lives pre-us is the last of the era. For our generation, our children will know everything about us… or at least the picture we paint on our FaceBook timelines and Tweets and photo streams. They won’t have to wonder about our lives, or at least they think they won’t. Our social media accounts can–will–be misleading, far from truly representing our lives. After all, we don’t always have smiles on our faces and we aren’t always surrounded by two or three other people also smiling. But the curiosity will be satiated enough that our children may never ask, may never wonder… Mom, what were you like when you were twenty? Its just funny to think about. Here I am on the other side, a Mother now, with my own humble non-Mother life in my rearview mirror. It has started to become hazy, a compilation of little vignettes and stories I may or may not tell. Will William and Ava dig them out of me one day? Maybe, maybe not. Regardless, I feel myself turning into my Mom in the way I care for my children. Its not that I plan to give up the ukulele or writing or shopping or singing karaoke late night at the bar once in awhile… in fact, I need to hold onto those things for dear life, but its just a paradigm shift. And I love it. My world has tilted towards Will and Ava, a magnetized axis of sorts. I see this happen in my close friends that have kids too. I could see it all over my friend Erin’s face when I visited her in the hospital last week. What’s really cool is that I see it in my friends that aren’t mothers yet… that maternal fire that we are all born with, whether we have children or not. Its always there in us, and can be directed towards anyone, adult or child, even if you never end up having kids. Not to say that men can’t be selfless, because they certainly can, but its something special about that maternal nurturing instinct that women have. Its awesome. It makes me think about my Mother in law, a woman I never got to meet. I feel love for her anyway. 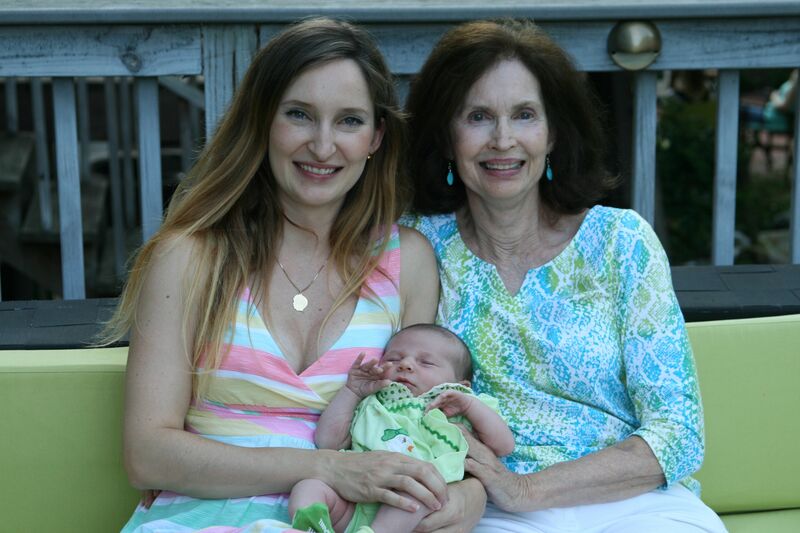 I think of my cousin who lost a baby recently–she will always be the Mother of that little girl. My friend Hillary who, any moment now, will be popping out a THIRD CHILD (omg!). I think of those that are Mothers, those that aren’t Mothers yet, and those that play the maternal role in so many unconventional ways. I suppose even a man can fall into that last category! So much beauty in the word Mother… or… “Mama”! This video, which inspired this deep existential dive into the meaning of the word mother, truly melted my heart. Love, love, a million times love. Catching up on your blog today! Love this one. I’m of course covered in tears after reading it!